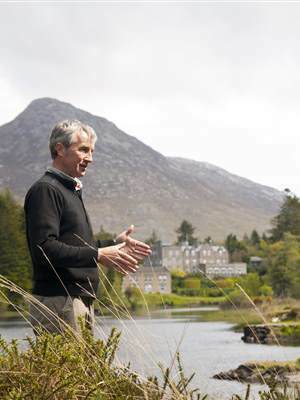 At Ballynahinch Castle we are all about the people, the people that make this hotel and destination so special. We are always looking for exceptional talent, from the kitchen to the gardens from reception to food & beverage service, if you think you have what it takes and would like to be part of this continuing story then why not send us an email with your CV. It just might be the next big step in your career and you just might be the next big step for us. We have opportunities for passionate and creative hospitality and culinary professionals and as one of Ireland's most highly regarded hotels, with a reputation for exceptional food and world class service we only want to meet those of you that share our passion. Building on years of progress and following a €500k refit of our kitchens Ballynahinch Castle is now entering a new and exciting phase in food. Led by inspirational Head Chef Pete Durkan, the team in the kitchens at Ballynahinch Castle benefit from working closely together, pooling their experience and creativity to produce some of the finest food in the country. Find out more about this opportunity here. The ingredients are at the heart of this exciting kitchen. There is a shared passion for exploiting the larder of Connemara with all the unique and exceptional quality produce it has to offer. Find out more about this opportunity here. The Ballynahinch Castle experience transcends the awesome food the team in the kitchen create. The recurring theme of all our guest feedback is the fantastic people we have working here. 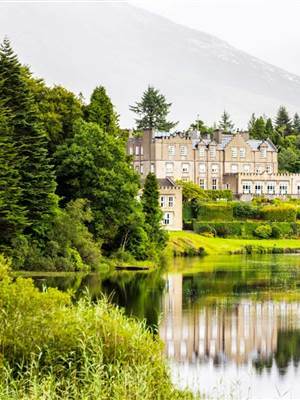 The team has a real spirit of shared purpose, they understand that the visitor to Ballynahinch Castle is excited to be here and they celebrate that with them. Of course, standards must be met, tables must be set and the pub must be kept spotless but the magic ingredient is the attitude of the team. They have a passion for the food, the culture and the landscape and this transfers to our guest experience. In short, they care. All the while the team are improving their professional skills and training the junior staff. 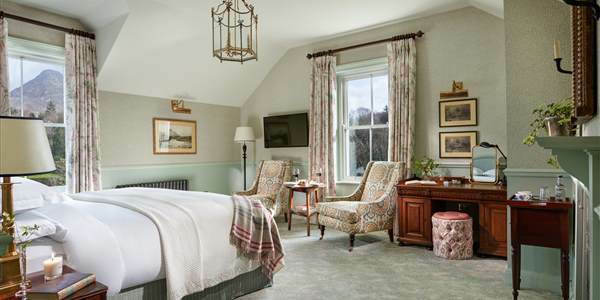 If you would like to be part of what Condé Nast Traveler Magazine readers voted “One of the top 10 hotels in the UK & Ireland”. Then send us your profile and we would be delighted to talk to you.